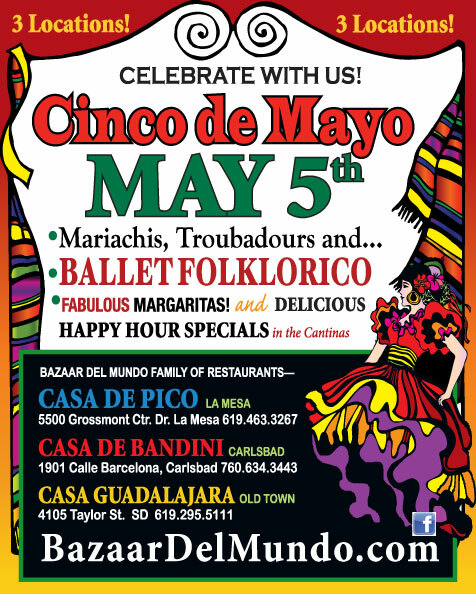 Bazaar del Mundo: 3 Cinco de Mayo Parties at Casa de Pico, Casa Guadalajara and Casa de Bandini. Which One Are you Going To? 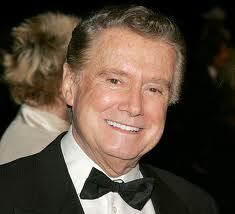 What do Regis Philbin and Diane Powers Have in Common? According to the Guinness Book of World Records, Regis Philbin has logged over 17,000 hours of air time on television, the most in history. At 80 years young he still has that twinkle in his eye and is quick with a laugh. He exudes enjoyment of his profession and kindness to those who have watched him for so many years. So what do Regis and Casa de Pico owner Diane Powers have in common: consistency. 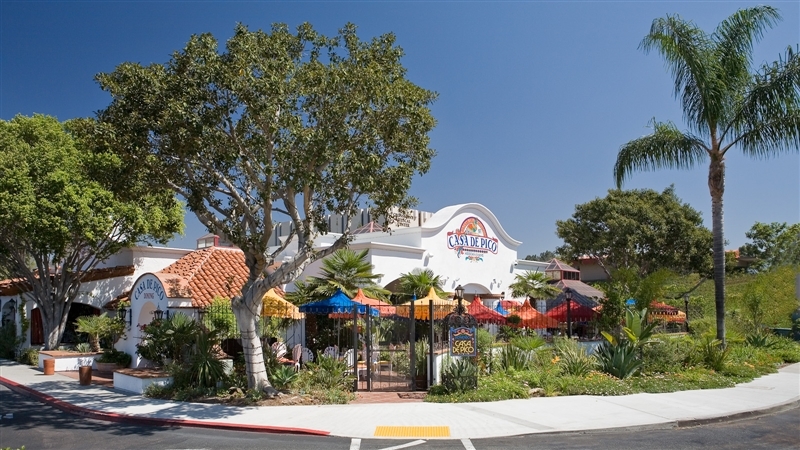 After more than 40 years of being a business leader in San Diego, Diane still has that same twinkle and the same enthusiasm to provide the best San Diego Mexican restaurant dining experience at her three thriving restaurants: Casa de Pico in La Mesa, Casa de Bandini in Carlsbad and Casa Guadalajara in Old Town. After 40 years of ownership, her commitment to her shops in Bazaar del Mundo is also as strong as ever. Consistency has always been the hallmark of champions. Whether it be the star athlete who stays on the practice field longer than his teammates, the lead violinist in the symphony that practices while others sleep, or the business owner who works day after day with a smile and a determination inside to be the best , these are the people that we admire and respect. Most business owners would tell you that 40 years of making payroll, committing to leases, dealing with thousands of customers and employees over that amount of time rivals 17,000 hours of smiling at a camera. This year Diane Powers and Casa de Pico, as well as the shops at Bazaar del Mundo, celebrate their 40th anniversaries. All of us at Casa de Pico consider it an honor to work with Diane, and we share her commitment to provide you the finest cuisine at the friendliest Mexican Restaurant in La Mesa. Thank you Diane for your consistency and your dedication. As we’re sure Regis’ staff tells him, “It’s an honor to work alongside you every day.” We certainly feel the same way.